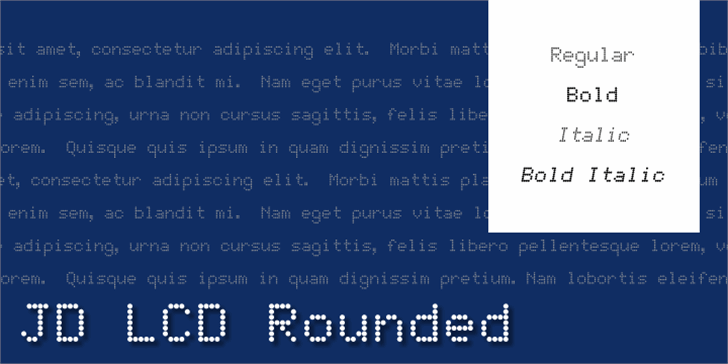 JD LCD Rounded is a TrueType Font based on two fonts: LCD Plus and LCD Screen. 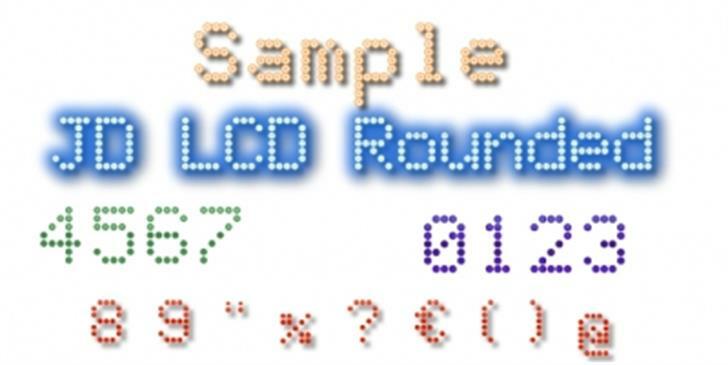 Symbols of JD LCD Rounded are composed by a single line of dots. readme.txt: This font is released under a Creative Commons Attribution Non-commercial No Derivatives - I guess commercial use is not allowed then? Sorry, but there's a problem into the Readme.txt, I'll upload soon the fixed readme.